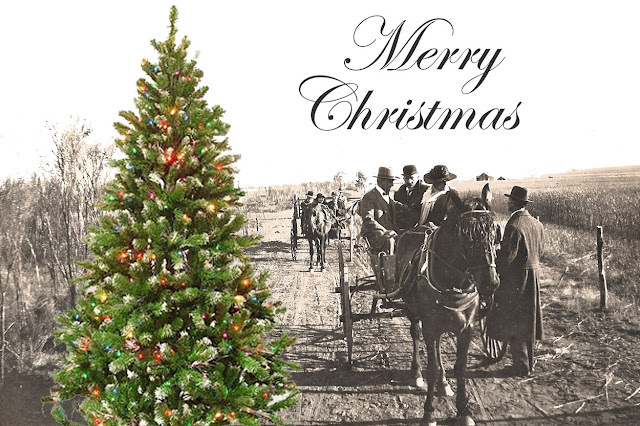 1922 meets 2012 to wish you a Merry Christmas! 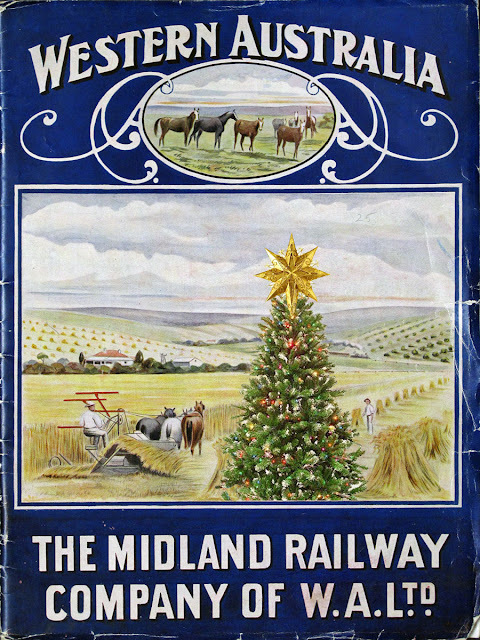 This is the cover of a booklet produced by the Midland Railway Company in London, England in 1922. It was marketed mostly in the United Kingdom encouraging people to purchase and move to the Company's lands in Western Australia. Among these lands were Waddy Forest and most of eastern Carnamah. We may have added in the Christmas tree and the star, but that's because we'd like to wish you a very Merry Christmas and a wonderful new year. It's been a big year for us and 2013 is shaping up to be a solid rival. During the year now drawing to a close we took part in the Safe Keeping Exhibition at the Perth Town Hall, contributed to the Busy Archivist's Blogging Tool Kit, unveiled our Window to the Past, and benefited greatly from the assistance of virtual volunteers. Last but certainly not least we celebrated the Official Opening of our Extended Carnamah Museum. Thank you Gould Genealogy! Wishing you a very happy Christmas and a prosperous 2013.